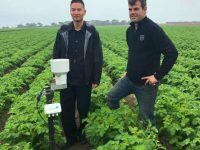 Do you hear phrases being thrown around like “Nitrogen leaching”, “run off” and “sloppy farm practises?” Do you really know what they mean, and what Oakleys Vegetables are doing to use the best farming practice for our environment? This one’s for you. Learning about the elements is daunting. It takes us back to days of balancing chemical equations and Bunsen burners. Yet, nitrogen is one of the most important elements when it comes to vegetable farming. Nitrogen (N) appears in many different forms. The process of changing from one form to another describes the nitrogen cycle. 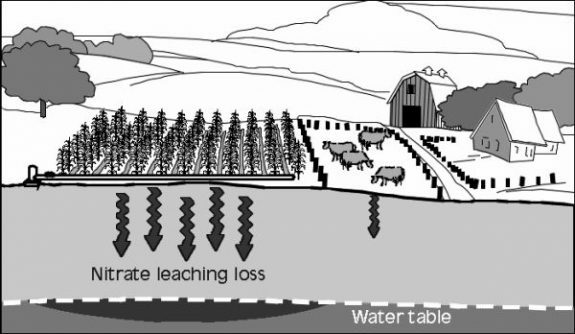 A visual of how nitrogen leaches into the groundwater – or the ‘Water Table’. As farmers, we put nitrogen on our potatoes to fuel growth and high yield. 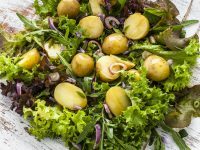 Nitrate (NO3-) from the fertiliser ensures that the canopy (stem and green leaves that grow above potatoes) is perfect for photosynthesis – turning light into plant energy for growth . Nitrogen leaching is a natural occurrence when the soluble and mobile nitrate leaves the soil in drainage water . As farmers add extra nitrates to the soil, there is a risk of excess leaching. 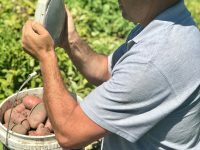 When in the root zone, nitrate is being used by our potato plants, but if washed any deeper due to rainfall and over watering, it gets into groundwater. This is problematic due to high-risk water quality and health of our aquatic ecosystems. All farmers must take responsibility for their farming practices, yet not all of them do. This is where sloppy farm practices come into play. At Oakleys, we are proactive about leach minimisation and being allies of the environment. Scientists communicate to us the best practices to avoid this phenomenon and Oakleys are rigorously implementing those strategies to have the lowest environmental impact . We do this by testing the NO3- levels in our soil before planting potatoes and only add the exact amount required for our crops. Think of it as prescription fertiliser! This avoids any left-over in the root zone after harvest that could leach into your ground water. 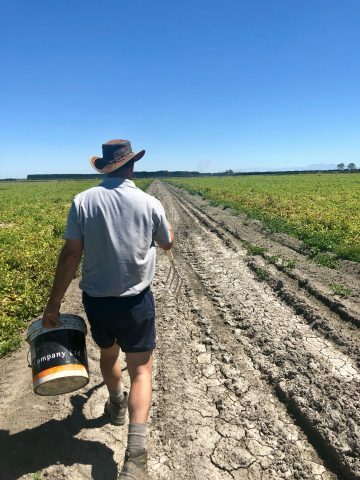 Managing Director Robin Oakley on the farm inspecting his potato crop. Oakleys also do split applications – applying two-thirds of the fertiliser early on in the plant’s life cycle to get the canopy leafy and green. The remainder is added later on. This mitigates the risk of all NO3- being leached at once and also increases yield. Additionally, we carefully monitor our water consumption as to not wash away the NO3- by over irrigating (check out more here). We even mulch our organic waste (think dead canopy and not-quite-right potatoes) back into the soil. This decomposes into ammonium (NO4-) another type of nitrogen, to undergo nitrification and become the all-important nitrate (NO3-) again. What does that even mean? More naturally occurring NO3- in the soil calls less need to fertilise and lowers risk of leaching! Fun fact! 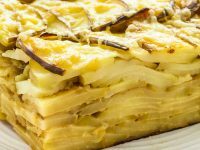 Oakleys do not fertilise our Golden Gourmet potatoes because adequate amounts we are naturally cultivating in our soil. 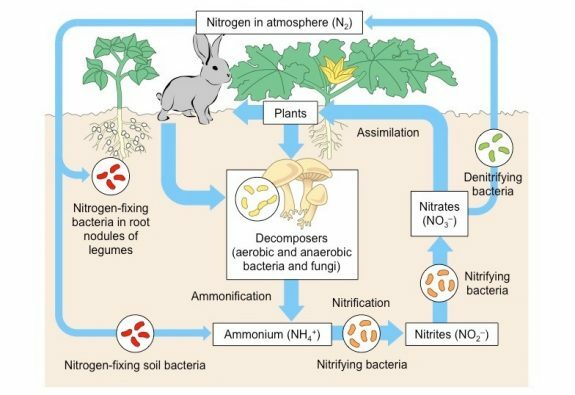 A diagram depicting the Nitrogen Cycle which potato crop is involved in. Finally, Oakleys grow wheat between potato crops to mop up any of the excess NO3- that may still be in the root zone from our fertiliser after harvest. Boom! No nitrate, no problem! The potato yield is just right, and look at that – the canopy is turning yellow too. Robin knows he added a perfect amount of nitrate to the soil, success! Generations of Oakleys family growing means we’ve been using these practices for years and we will continue to refine our practices for generations to come. 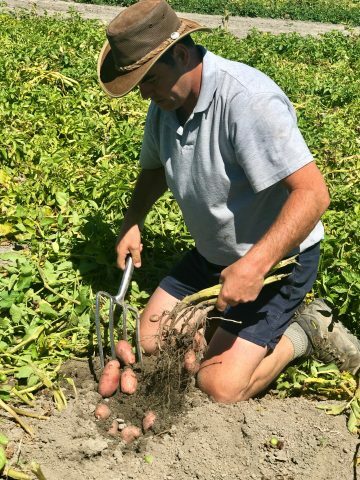 Just this week our managing director, Robin Oakley, did a farm test dig and determine whether his crop was ready for harvest. The crop was up to scratch and the canopy (leaves) had begun to go yellow. We know that a plant has used up most of the available NO3- in the soil when the canopy starts turning yellow. This process is called “Cannibalisation” and refers to when a plant starts extracting nitrate from its own leaves as there is not enough in the soil. So, if the canopy turns yellow and the crop is perfect for harvest simultaneously like it did for Robin, then we know that we applied just the right amount of NO3- to the soil to get the best yield and no more. Remember, less excess nitrate at the end of harvest means less chance of nitrogen leaching! That’s what fifth generation farming is all about, excellence born from experience. So now you’re basically an expert on all things nitrogen and leaching, and you’ll also know the importance of sustainable farm practices which protect our drinking water, wildlife and environment. As we’ve mentioned in another article, your dollar is your vote – so what do you vote for? Yara North America. 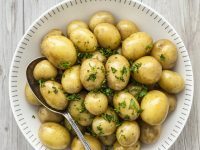 Role of Nitrogen in Potato Production. 2018 2018-05-17; Available from: https://www.yara.us/crop-nutrition/potato/role-of-nitrogen/. 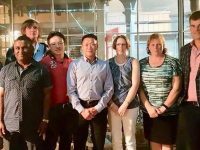 Yefang Jiang, et al., Nitrate Leaching from Potato Production in Eastern Canada, in Sustainable Potato Production: Global Case Studies., He Z., Larkin R., and Honeycutt W., Editors. 2012, Springer, Dordrecht.